Whiter Teeth and Brighter Smile! Every day, plaque build up leads to tartar and stains. Brushing and flossing can remove plaque before it hardens into tartar! Brushing correctly and regularly keeps your smile healthy and bright! No one loves bad breath (halitosis)! Oral Bacteria can produce an odour that is embarrassing and unhealthy. Brushing and flossing can prevent the bacteria that cause halitosis and tooth decay! Brushing mechanically cleans teeth, gums, and where they meet. Flossing cleans between and below the surfaces of the teeth and gums. Unhealthy gums can cause gum disease with serious problems in your mouth and body. Good dental care saves you money. Good dental habits can help prevent problems that will require extra visits to the dentist. 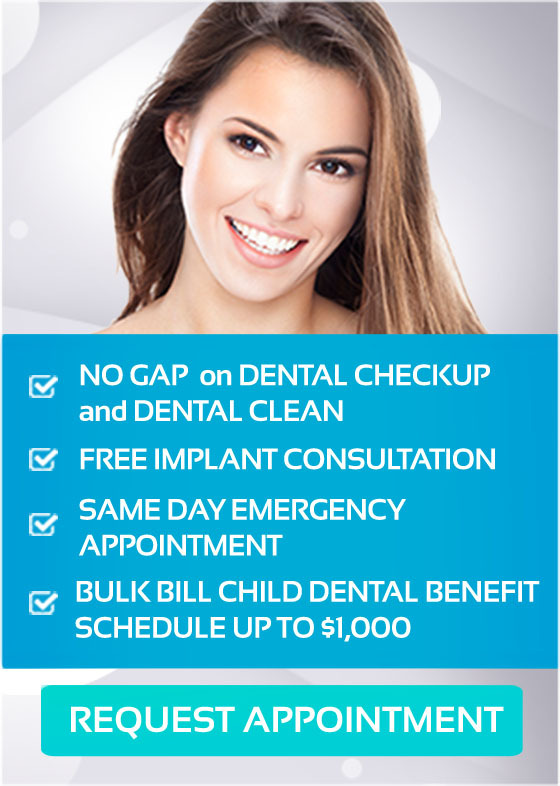 With proper at home care, you reduce the cost of dental treatments! Brushing and flossing keep your smile beautiful, save money, and can even save your life! Experience fresh breath, healthy gums, and stronger teeth! (03) 8682 8658 or make an appointment online.